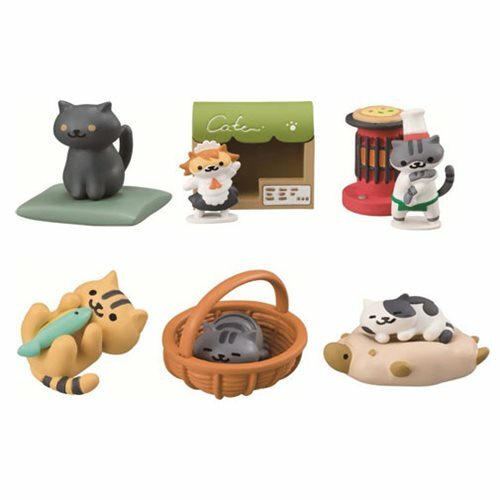 Become the ultimate collector with these Neko Atsume Kitty Collector Mini-Figures! From the app game, Neko Atsume, comes the second collection of adorable little kitties. Each character comes in a blind box, so every box will be a feline surprise. Collect all six characters like the rare cat Sassy Fran and as a bonus, each kitty character comes with a special furniture accessory from the game. Ages 15 and up.